I gave in. I ordered shoes from Zappos. One of my coworkers buys her shoes from there and she brings her shoes to work to return them. Free and easy returns are the Zappos' claim to fame. I never thought I would even be tempted to buy shoes online but after trying on many different pairs at many different stores, I was tired of driving around town. I found a nice sensible pair of New Balance sneakers which came in wide and ordered them knowing that returns were easy. They were a little more than I usually spend at $70 but I needed shoes and if they are good shoes then they will be worth it. The days went by and I was actually looking forward to Monday for a change. There they were on my doorstep. I carefully opened the box and tried them on. They fit! I am thrilled. I'll wear them to work tomorrow and see how they do on my lunchtime walk. It's a good thing the dress code at work has gotten very casual. I wear jeans and sneakers everyday now and no one cares. 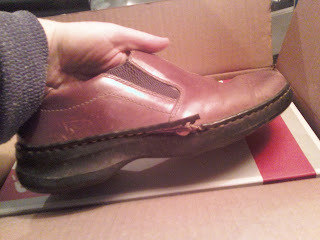 Oh, and wouldn't you know it, my only non-sandal, non-sneaker shoes decided to die today. I've only had them, like, 6 years or something. Now I'll have to look at Zappos again for something non-sneaker. 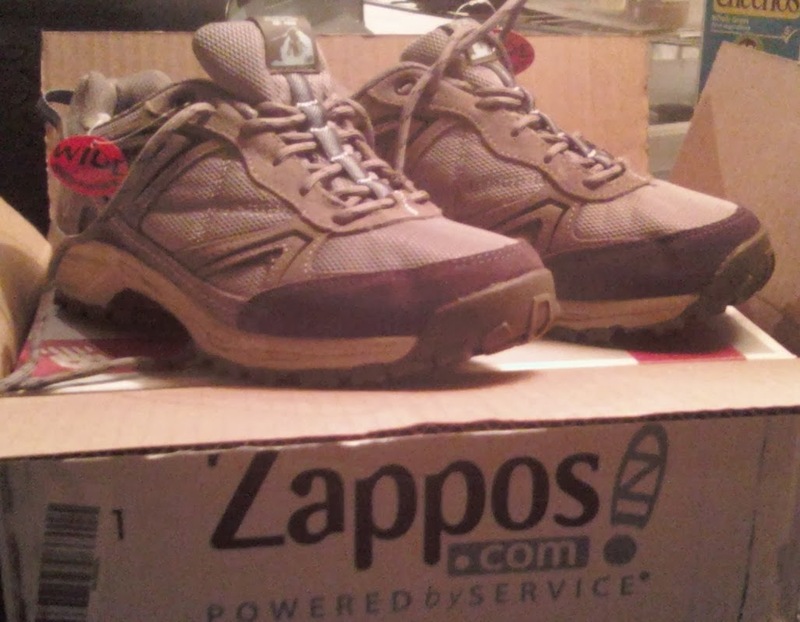 I had heard of Zappos before, but never really understood what it was, nor did I look into it. Do they have running shoes? Yes, they do. 906 of them. I don't know if they have the best prices but for those who hate searching from store to store or for those who don't have any good stores nearby, they are worth checking out. I can't see buying shoes without having tried them on and walking around in them for a few minutes. The last time I bought shoes, back in 2010, I had to try on 3 or 4 pairs until I found the pair which was the most comfortable and appeared the most durable. They were also more expensive than the others but after nearly 4 years they are still hanging in there. Previous pairs of shoes lasted 2, maybe 3 years. Then again, the shoe store nearest to me (Payless) is a short drive away in a shopping mall so it is pretty easy to get over there. Dave, Zappos appeal is in the free return shipping so as long as I don't need the shoes right away I can buy, try on and return forever! I never had much luck at Payless. Maybe I'm just not a shoe person. Ha, Lizzie, are you going to be painting your shed soon? How about buying some quail? That would be really spooky if you were.